Obituary for Mary Constance Gibbs | Henry Funeral Home, P.A. 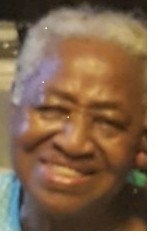 Mary Constance Christine Gibbs heard the Master’s voice and quietly departed this life on March 28, 2019 at Anne Arundel Medical Center, Annapolis, MD. Constance was born December 25, 1931 in Grasonville MD to the late James O. Gibbs and the late Irene Cornelius Scott Gibbs. Constance completed her education in the Queen Anne’s County School System and attended the Kennard High School. Constance received her early Christian teaching at Bryans U.M. Church. She later studied at the Kingdom Hall of Jehovah’s Witnesses. She enjoyed listening to what she called “The Spirituals” on the radio when Pauline Wells Lewis was on the air. She loved to watch baseball on television, especially the Baltimore Orioles. Although Connie/Tanta (as she was affectionately known) had two children of her own (BabeBrother and Gene), she was surrogate mother and care giver to all of her grandchildren, nieces and nephews. Cooking, laundry and hand sewing were her gifts. She had a gentle spirit and was called on by many family members and community members to provide child care services. Connie was the family chaperone on trips given by the local Churches to the amusement parks, Coney Island, Atlantic City, Ocean City, Hershey Park and Kings Dominion to name a few. She called them “excursions”. She would make sure lunches were packed and no spending money distributed until the destination was reached. Her favorite excursion was to the World’s Fair held in Niagara Falls, New York. She was employed by The Friel Cannery Company and a long time employee of the Ewing family at Holly’s Restaurant. She was preceded in death by son, James O. Burke, Sr. and grandson, Jermaine Burke. Also preceding her in death, were her three sisters, Lucille, Betty and Shirley, she was the last of the four “Gibbs Girls”. Cherished memories for Connie will be held by her son, David Eugene Wilson; grandsons: James Burke Jr, Amari Burke, Jabari Burke, David Wilson, Davon Wilson; great grandson, Isaiah Burke; nieces: Ann Robinson, Deborah Jackson (Willie); Melba Dixon (Donald) Rayshelle Robinson (Michael), Nechele Dee (George), Shalonda Gibbs; Andria Boardley, Latoya Boardley; nephews: George Boardley, Bruce Boardley (Charlette), Louis Robinson, Darryl Robinson (Takisha), Wayne Brown (Arlene), Trevin Demby (Ciwanna), Aeron Gibbs, Kevin Jackson (Jasmine) Richard Boardley, B.J. Boardley, Davon Boardley, Antonio Jones, Stanford Lee Gibbs; other great nephews, great nieces, cousins and dear friends.